In the past week, I heard from two more B.E.S.T. members who wanted to share their giveaways. I love that she writes a personal note inside the book - it's a nice touch! 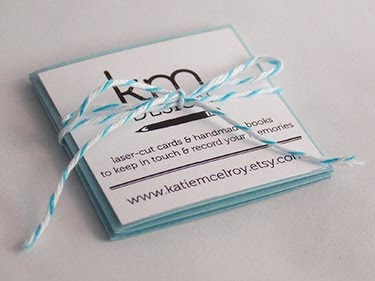 I always include a little pack of star tags with each of my Etsy sales. 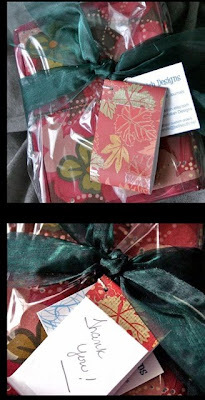 The tags have my Etsy website stamped on the back, so when they're used, the recipient knows where it came from. I also include a few of my small, square business cards in case they want to spread the word. I also use one tag to write a little thank you note for each package I send. Just like Cheri, Katie writes a personal note in her giveaway. Gift tags are a great idea because they're a promotion that keeps on giving - your original customer gets something useful and passes on your name/shop on to someone else. Keep the pictures coming - I know you're doing something cool! Send me an Email with photos and I'll include them in (hopefully) another follow-up post next week. 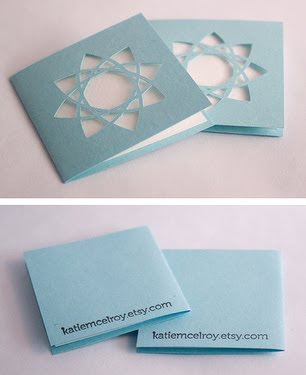 Be sure to include your name and a link to your Etsy shop.